Map source: People Group Location / Map Design by Joshua Project. Other map data / geography from GMI. 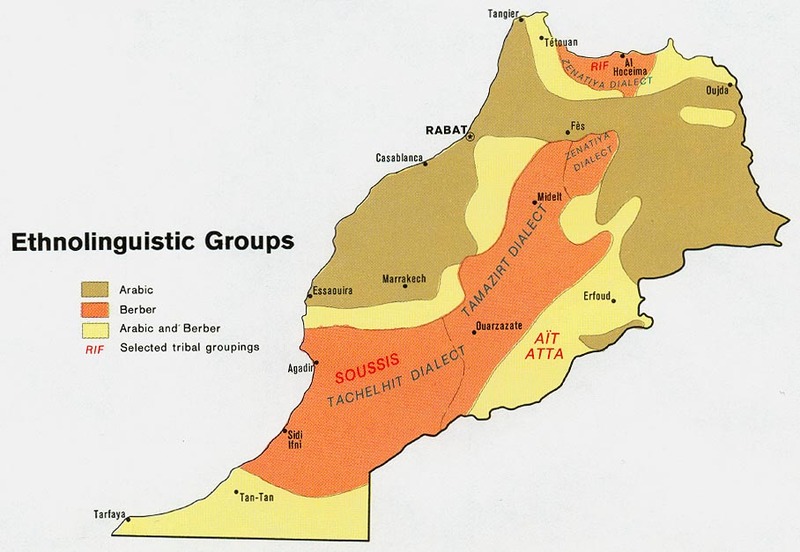 Rather than calling themselves "Berbers," they refer to themselves by the name of their particular subgroup. 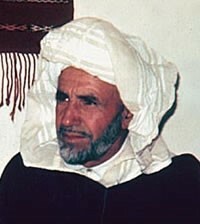 Berbers also use the overarching term "Imazighen." 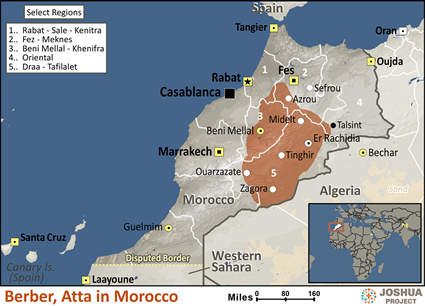 The arrival of Arabs in Morocco in the seventh century resulted in the gradual conversion of some Berbers to Islam. It was not until the thirteenth century, however, with the arrival of large numbers of Arabs from the Middle East, that the majority of Berbers accepted Islam, learned the Arabic language, and were assimilated into Arab culture. Gospel radio and television beamed to North Africa is very helpful. Materials distributed to North Africans on the docks of southern Europe find its way into the hands of many Berbers. Pray for those who are beginning to find Christ among the Berber communities, that the Lord will protect and nurture their faith, and that they will find each other in order to fellowship and grow together. Pray they will be rooted and established in love. Pray the Berbers of Morocco will have access to the good news of Jesus in many forms, hearing clearly who He is, in their mother tongue. View Berber, Atta in all countries.